Speaking as a neutral observer of this exchange, I'd say Hrothgar won the debate. Several other shareholders sent me EVEmails this week. Of course, it's not required to write an essay when you buy shares. In fact, buying shares is so easy! 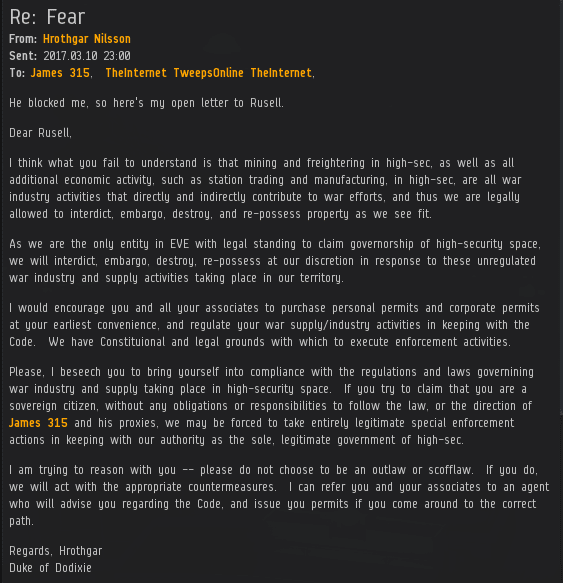 Simply transfer isk to James 315; as I told Counsul Shakiel, you don't need to be in a corp or anything. There it is. 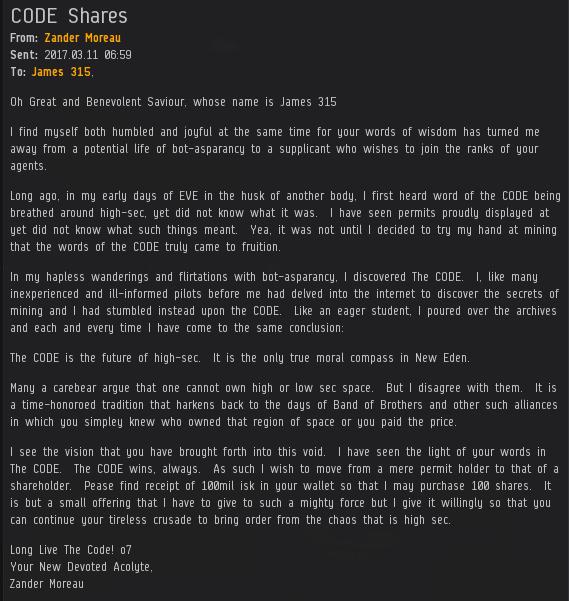 Black Pedro purchased 1,000 additional shares, sending us past the 1 trillion 155 billion isk mark and earning him a Supreme Protector's Tip of the Hat™. And the next milestone was reached thanks to Erika von Heisenberg, who opened a New Order account to purchase 350 shares, sending us past the 1 trillion 156 billion isk mark and earning her a Supreme Protector's Tip of the Hat™. Anti-Gankers, don't be discouraged by the generosity of our shareholders. Learn from them! \o/ Praise James 315! 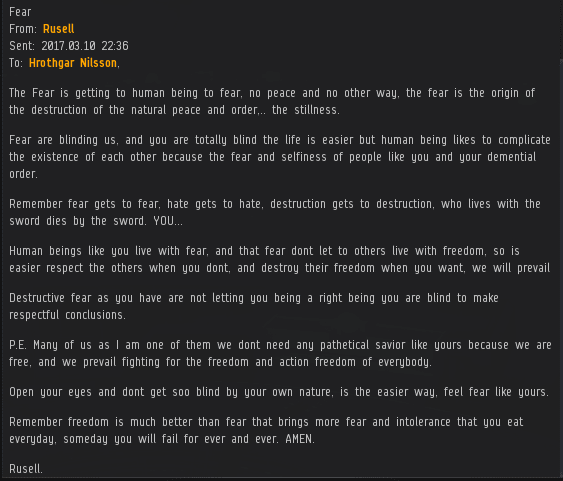 I humbly thank you for putting my EVEmail to you on this website!